Here are some important pet travel tips that you need to know while planning a vacation with your pet. Bringing your pet with you on your vacation is becoming easier. Lots of hotels and motels are accommodating pet travel. Most National Parks have strict regulations restricting pets. Check with them ahead of time. Your pet may not be able to walk with you but you can still spend some happy time together. Before you bring Fido or Fluffy on your trip make sure that they are physically up to it. Take her to the vet first and be sure that she is in sound health. Make sure she has all her necessary vaccinations along with a health certificate to bring along with you on your trip. Be sure she has a collar with ID tag that contains your name and phone number. If she gets lost somehow, that could be the only way she gets back home. A pet that is not well behaved can be a problem and may not be suited to travel. She will be in strange surroundings and you don't want her to scratch or bite out of fear and confusion. If you must leave your pet home please be sure that she is well cared for. Professional pet sitters, kennels, friends or family are options available to you. Leave explicit instructions for care and the phone number of your vet. Most airlines will accommodate pet travel but they all have their own rules. Dogs and cats are usually ok but other pets may present a problem. Your pet can travel either in the passenger cabin or in the cargo hold. Pet travel in the cargo hold can be a little rough and ventilation is not the best. Your vet should be able to help you evaluate if Fido or Fluffy is up to it. Well behaved pets that are able to travel in an appropriate sized container may be brought with you on the plane. They will be treated as carry on luggage and will have to ride under your seat. 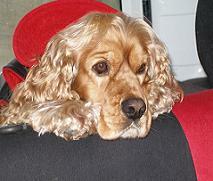 Pet travel in your car is a much more straight forward arrangement for all. Some pets can't handle it though and it is best to make sure she is up to it before your vacation starts. Take basic safety precautions like not letting the animal run free in the vehicle. She could cause an accident. This means that she should be leashed securely or travel in a pet container. Never leave your precious pet in a hot car with the windows shut. It doesn't take long for the temperature inside to reach lethal levels. Make sure you provide her with fresh water and food. For dogs, she will greatly appreciate frequent stops to get a quick bit of exercise. When bringing your pet to a motel or hotel that accommodates pet travel please be sure to follow all their rules. A bad experience will make it more difficult for future pet owners. Keep her leashed and clean up after her. Do not allow her to damage property by chewing or scratching. Be prepared for emergencies and possible problems due to stress. If possible, find out the name and phone number of a local vet or animal hospital near where you will be staying. With a little effort your vacation can be safe and fun for both people and animals. Remember, Fido or Fluffy can't look after themselves so it is up to you to be sure that their traveling needs are taken care of. Peter Shannon is the owner of www.1001-vacation-ideas.com. Here you will find a large collection of vacation and getaway ideas for travelers searchable by theme and location.